The security business is changing as rapidly as it is advancing, but with improved technology comes unintended consequences not foreseen until they are actually realized. Such is the case with security transmissions and the advanced use of cellular technology to transmit data, signals and alerts. Today, all advanced security businesses providing commercial and even residential security applications are abandoning hardwire for wireless, cellular communications. Congested space coupled with variations in cellular signals present transmission challenges. 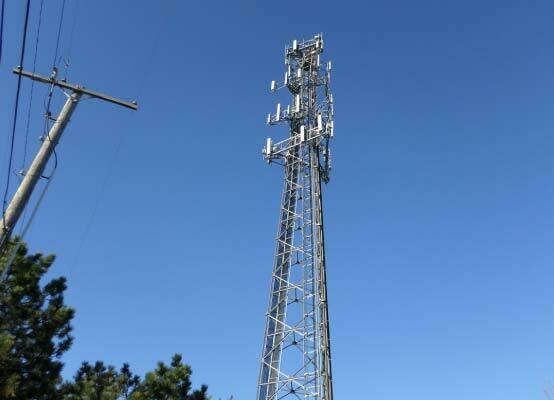 Cellular signals can also be hampered by certain building materials used in construction, like low eGlass, metal, concrete, also foliage, and cellular tower configuration with different carriers providing signal paths. The answer is installing products provided by manufacturers like SureCall, that detect, boost and correct weakened cellular signals. Even first-responders have a protocol that their two-way radios have to work within any structure to ensure communication consistency as a safe guard to themselves and others. SureCall has a cellular boosting system that ensures these responders are in constant, uninterrupted communication. These cellular boosting systems are paramount in protecting the rules governing first-responder procedures that must be met. What is a Cellphone Signal Booster? Cell phone signal boosters are bi-directional amplifier (BDA), a name commonly used in the wireless telecommunications industry. These devices are used to boost cell phone reception in a local area by using a reception antenna, signal booster and an internal rebroadcast antenna. These technical applications are similar to the cellular broadcast towers used by network providers broadcasting. The units are of course much smaller and usually intended for use in one building or a common structure. Modern cellular signal boosters basically rebroadcast the cellular signals inside a building. The system uses an external directional or omni-directional antenna to seek out and collect the best cellular signal available, which is then transmitted to a booster unit that amplifies the signal. This in turn re-transmits that signal locally, which provides a significantly improved signal strength thus improving communication when its needed, 24/7.An additional advantage of using cell phone repeaters is an increase in the cell phone's battery life. This is primarily due to the lower power required to broadcast the signal to the bi-directional signal booster, due to its proximity to the phone. ESI, Emergency Systems Inc, founded in 1978, is a commercial and high-end residential security provider that has partnered with industry leading security manufacturers to offer customers state-of-the-art security systems and products. ESI has agreed to represent SureCall, a nationwide leader in cellular signal booster technology based in Silicon Valley. Founded in 2001, SureCall has developed its security boost technology for a wide variety of applications for various government entities and major corporations, including the Military, State Department functions, NASA, Pfizer, Hewlett Packard, and other Fortune 500 companies. SureCall has been instrumental in developing new products that continually address the needs of all types of cellular and mobile broadband users and solutions providers. SureCall has built the best in-house technical support team available and offers a 60 day, money back guarantee to back up their 3-year manufacturer’s warranty. SureCall has developed a Signal Meter, an essential site survey tool that detects signal from all carriers available. With its easy to follow instructions, providing reliable results any service technician can use. This product offers 3 Distinct Modes, allowing you to inspect each frequency to eliminate all overload or limited signal issues prior to installation. Booster systems are comprised of 5 products, Booster • Indoor & Outdoor Antennas • Cables • Splitter for multi-antenna kits • Lightning Protector. Fusion Series is designed for small commercial business and residential and low capacity applications. Fusion 4 Home and Fusion5s, handles from 2000-6000 sq. ft. with up to 6-8 simultaneous users. Fusion5x handles from 10,000-20,000 sq. ft. with 10-20 simultaneous users. Force5, our larger commercial application, was designed for all-carrier voice and 4G LTE data cell phone booster. It come available with 2 outside, up to 4-6 indoor antennas, possessing many unique features that improves voice and data signal for all carriers for areas of 20,000 - 25,000 sq. ft. Additional systems may be added for larger areas. This booster is the only one on the market that supports Verizon VoLTE and AT&T HD Voice. The linear design can increase the number of simultaneous users to 100+ per band, an industry milestone. Adjustable attenuation on both uplink and downlink -1dBm to -31dBm, and additional systems can be added for larger areas. This product is Carrier accepted, just register the system online. It’s ideal applications are for large commercial properties, universities, government buildings, hotels, hospitals, churches and multi-stories buildings, industrial and large warehousing. Sentry, our remote monitoring and control system, monitors and adjust your Force5 from a remote computer to control such issues as Over-Powering • Oscillation • Over Attenuation • Adjust individual links or bands • Quickly pinpoints malfunctions due to unforeseen changes in the cellular signal such as newly installed cellular towers or repeater systems • Immediately notifies installers and end-users via email about booster failures or over powering. Guardian3, our tri-band PSB Booster, was designed for large buildings, up to 80,000 sq ft. Its unique Features are 80dB Wideband 3W EIRP booster for Public Safety Bands. A linear design that increases the number of simultaneous users to 100+ per band and provides 700MHz, 800MHz and 900MHz SMR for up to 80,000 sq. ft. Additional systems can be added for larger areas with adjustable attenuation for each frequency on both uplink and downlink -1dBm to -31dBm. This system’s ideal application is primarily for industrial applications: Business Complexes, Parking Garages, MDU’s etc. ESI, a North and North Central Florida leader in the security business since 1978 is a commercial and high-end residential provider. With hundreds of security companies to choose from, ESI has built its reputation on award winning service and represents only the finest, most advanced security manufacturers the industry has to offer. Whether you are looking to add additional layer of security protection to an existing system or are in need of a security evaluation, new installation on CCTV’s, Motion Detectors, VideoFied, Fire Alarms, Commercial Sprinkler Systems, Access Control and Gate Operating Devices, SureCall Cellular Boost, maintenance, inspection or replacement, ESI is your perfect choice. Call ESI at 904-388-3975 or visit us online at getesi.com. An additional advantage of using cell phone repeaters is an increase in the cell phone's battery life. This is primarily due to the lower power required to broadcast the signal to the bi-directional signal booster, due to its proximity to the phone.